We're recruiting - are you a H&S or Environmental Professional? The health, safety, and environmental partner for housing associations, managing agents, property owners, managers and facilities managers in respect of internal SHE management. At Hosking Associates, we take the management of health and safety in schools very seriously and have a dedicated division, Hosking Education Services, devoted entirely to helping schools achieve success. Contractors/Construction, SPV's, Manufacturing, and Hospitality are just a few of the other sectors we provide support in working safely and sustainably in response to tenders or internal arrangements. How to Begin Your Environment Journey! We are proud of what we have achieved from a health and safety perspective, and now plan to work with Hosking Associates more closely to see what can be achieved on the environmental side. I'm so pleased we have made it through the [Safety Ribbon] audit successfully. We've worked really hard with the support and encouragement of Hosking Associates over the last couple of years, and to get through an external audit shows the progress we've made and demonstrates our commitment to health and safety. I like to think that Hosking Associates partners our business. 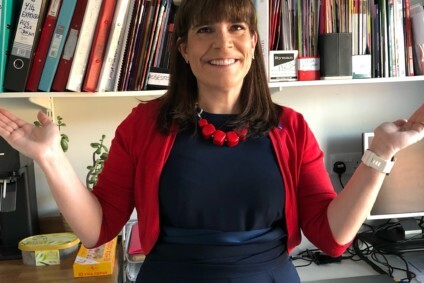 Joann Finney, Business Improvement Partner, ITAB UK Ltd.
Knowing we have the support and guidance of the team at Hosking Associates puts our mind at rest. We value their speed of response, and their vast knowledge; the team understands the education sector well, and they appreciate the different set of requirements. [Hosking Associates] Consultants are equally comfortable dealing with all levels of personnel from Governors / Board of Directors, the senior leadership team, the teachers, teaching assistants and Caretakers. 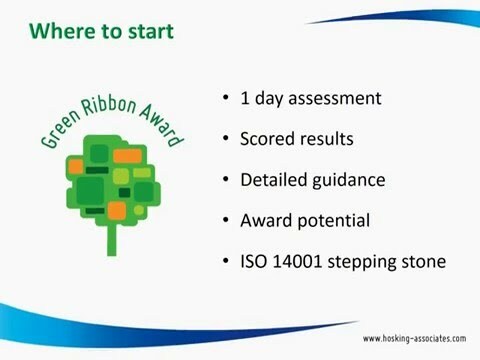 The Green Ribbon Award is excellent and has been instrumental in our plans to work towards the ISO14001 certification - it gives you a real idea of where you are. At every stage, the team at Hosking Associates tries to educate and empower the Helix staff, to help them progress projects on their own. Louise is able to support us in the delivery of our Health and Safety business goals by including herself as part of the team. We have an excellent working relationship with Hosking Associates for several years. They have provided us with a prompt and efficient service. From a personal point of view I would have no hesitation recommending Hosking Associates to any organisation seeking health and safety advice or training. Hosking Associates knowledge and expertise is invaluable to our company and their advice is always given in a proactive, helpful and achievable way. They make it very easy for us to understand our obligations and those of our clients. Everything goes through Hosking Associates and we feel very confident with our health and safety procedures. Louise Hosking stands head and shoulders above everyone else within the sector - she is part of the ProDoor team. We are fortunate to have such a collaborative working relationship with Hosking Associates; given we take health and safety and safeguarding so seriously, it is imperative we place such emphasis on expert levels of advice. Hosking Associates has made everything very straightforward, and guided us in an area which can be very confusing. They are a professional and dedicated team who have helped to make us proud of our health and safety procedures. [Hosking Associates] helps drive us to achieve our objectives as they are hands on in the process, but encourages business ownership of the end results. In short, Hosking Associates have that rare ability of being able to cut through the noise and hone in on the real issues, explaining the same in layman's terms for us mere surveyors to understand and action. Sustainability is today's buzz word, and our intention is to support all our other buildings towards achieving the Green Ribbon award and functioning in a more environmentally-friendly way. The work that Hosking Associates have undertaken has been invaluable for me and the team managing the two properties, which have now become Broadgate Quarter. They have delivered a fantastic service to our School, looking at what we need to implement, in changes of attitude, systems or recording and helping us implement these recommendations. Health and Safety, It's their passion and it shows !